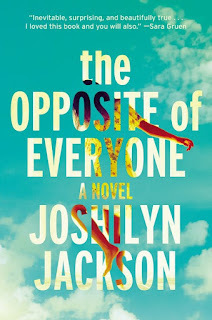 Rarely does Joshilyn Jackson do anything wrong, in my opinion. I forgive her for her last book, Someone Else's Love Story, which I really didn't care for. 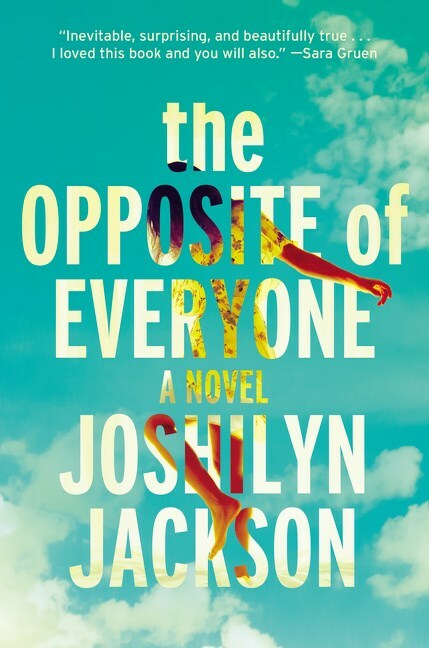 So it's interesting that the character I remember least from that book is the main character in The Opposite of Everyone, which I absolutely adored. Paula Vauss is a little of this and a little of that and, if she's being honest with you, she doesn't really know what she is other than a great attorney and the daughter of a wandering hippie. She's pretty sure her mother is still alive because she cashes the monthly checks she sends, but she hasn't been in contact with her in 15 years. Though originally named Kali Jai, Paula changed her name and herself in an attempt to distance herself from the tumultuous childhood she experienced living with Kai and whatever man was warming her bed at the moment. So Paula isn't sure if her father is a Tibetan monk or another one of her mother's rainbow assortment of men. What she does know is her copper skin is much too dark to have come from her Irish mother and a white man. So she's a little mixed up, a little confused, but she's making it. Then surprises just keep showing up on her doorstep. There's the brother she didn't know about, her mother is quite possibly dying and doesn't want to be found, her law partners are ready to give her the boot and she just might be falling for her on again/off again investigator/boyfriend, Birdwine. Look, when I tell you I loved Birdwine - I LOVED HIM. 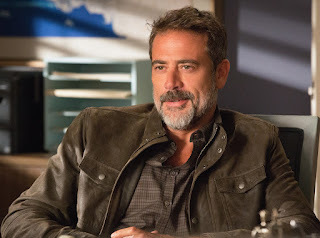 He's a complete and total screw up, but he comes through for Paula in big ways and he sounds like a rugged, good looking man. As a matter of fact, the whole time I read this, I kept thinking Jeffrey Dean Morgan from The Good Wife and Grey's Anatomy would do an excellent job of playing him. I may be a bit biased because he gives me fever, but whatever. You don't know my life! As we follow Paula and Birdwine on this wild goose chase to discover the truth about what's going on with Kai, Paula evolves from this selfish and controlled character into a more open and giving person. We get more of her back story and find out why she's such a hardened character, and though it all leads back to Kai, there are a lot of other factors along the way that have turned her into who she is. Through it all, Birdwine is there to help and Paula finds a new ally and more. I loved this story line, loved the characters, loved that the main character is of color & not in some pandering way. Joshilyn Jackson knocks it out of the ballpark again.